1) What kind of occasion is it? A wedding or other large gathering typically demands one that has a bit of glamor yet still lets all the attention shine on your cupcakes. For these types of occasions, a clear acrylic tree is a nice choice because it is elegant and classic. 2) How many times do you plan to use it? If you plan on using it repeatedly, then you'll want to invest in a cupcake tree that is sturdy, fingerprint- and scratch-resistant, break-resistant and easy to store. If you plan to use it only once, you could go with a cheaper cardboard model. Whatever you do, steer clear of metal cupcake trees, which can trap food particles and rust. 3) What is your budget? Cupcake trees range in price from under $20 to more than $200. In addition, you may have to pay for shipping. In general, however, you get what you pay for. 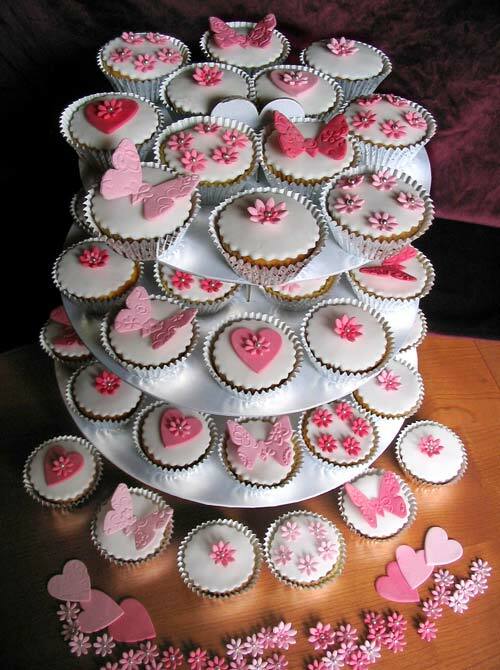 Some cupcake trees also come in economy models, which are made of white foam PVC and are great for the budget-minded. 4) How many people do you plan to serve? It might seem obvious, but make sure to purchase a model that can hold as many cupcakes as you plan to serve, or you will have to keep refilling it as the event goes on. 5) Do you have a theme? 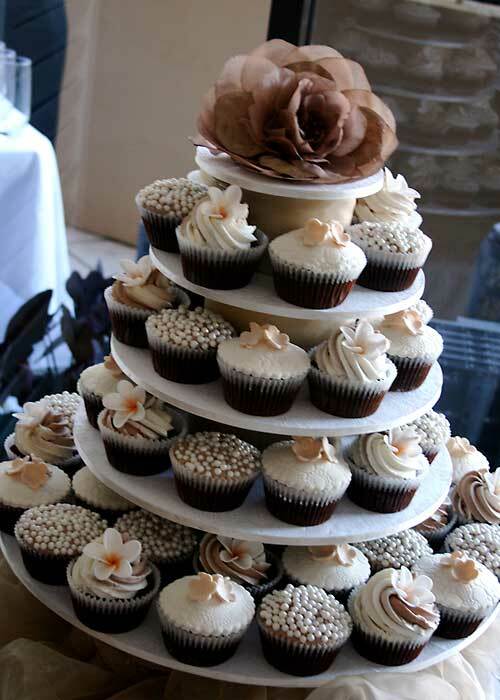 Cupcake stands come in many different shapes and sizes, such as round, square and floret (a flower-shape). Similarly, the possibilities for decorating the tree are wide-ranging and depend on your event type and theme. You can use real or silk flowers, candles, LED lights, paper butterflies, or baby rattles and toys for a baby shower. 6) Are you a caterer, bakery or restaurant? Be sure to buy a cupcake tower that assembles quickly and folds flat for easy transportation and storage. Also, it's important to purchase one that is washable and break-resistant. Some trees have components are interchangeable, so you can mix and match the different-shaped shelves with different tree bases. An optional lazy Susan base also comes in handy for easy turning and filling.